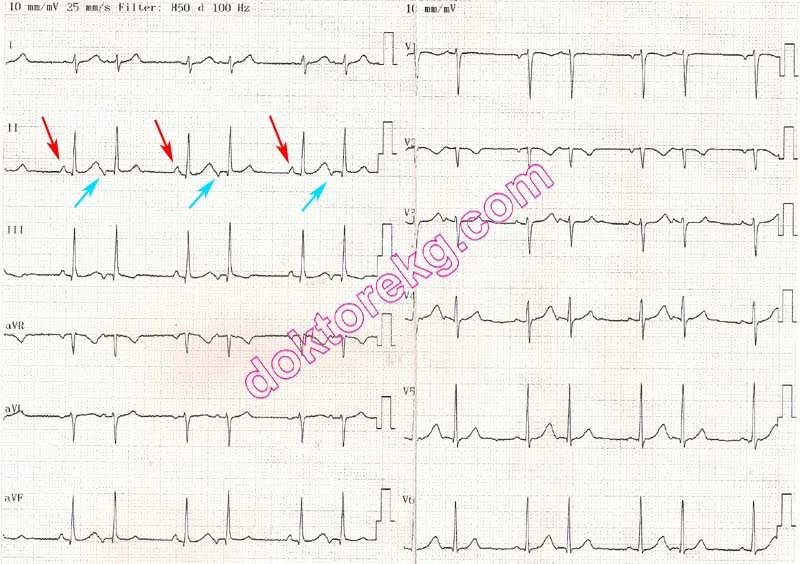 Atrial flutter with alternating two different levels of block (i.e. 2:1 and 4:1 block). 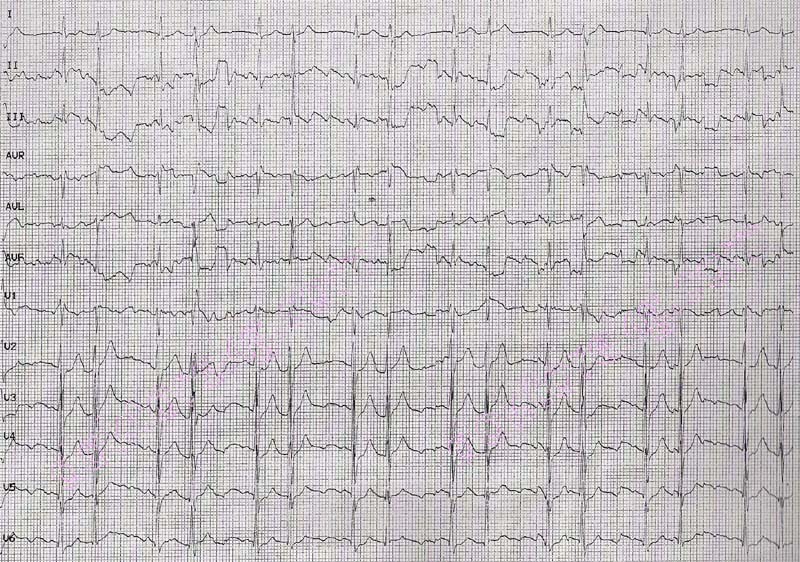 ECG 2. Atrial flutter. Two different ratios of block alternate. The block varies regularly.